Your dreams of modest living become reality immediately upon entering this truly captivating and sophisticated luxury, single-level estate home. A near-new, Metricon-designed home, spread over a whopping 312sq m on a 662sq m golf-frontage block. The fifth hole on the Peregian Springs Golf Course is your backyard, and I have to say it is the most picturesque outlook you could possibly imagine. If there is ever a time to make a move, this property is definitely the one. Just a short stroll away from cafes, schools and bushwalks. 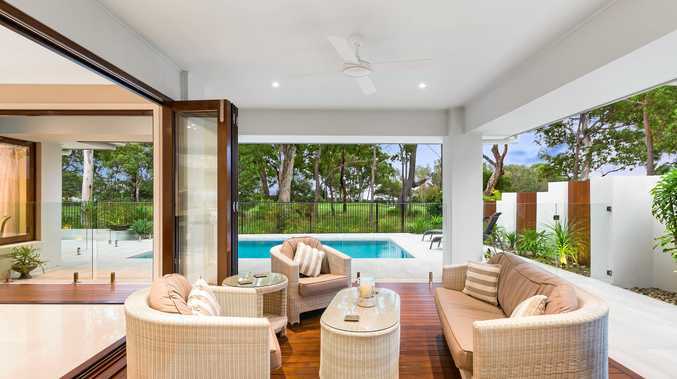 Only seven minutes to the alluring surf beaches of Coolum Beach, 20 minutes to Noosa's best restaurants and 20 minutes from the Sunshine Coast Airport.